These baby chicks were only hours hatched when we snapped this photo. 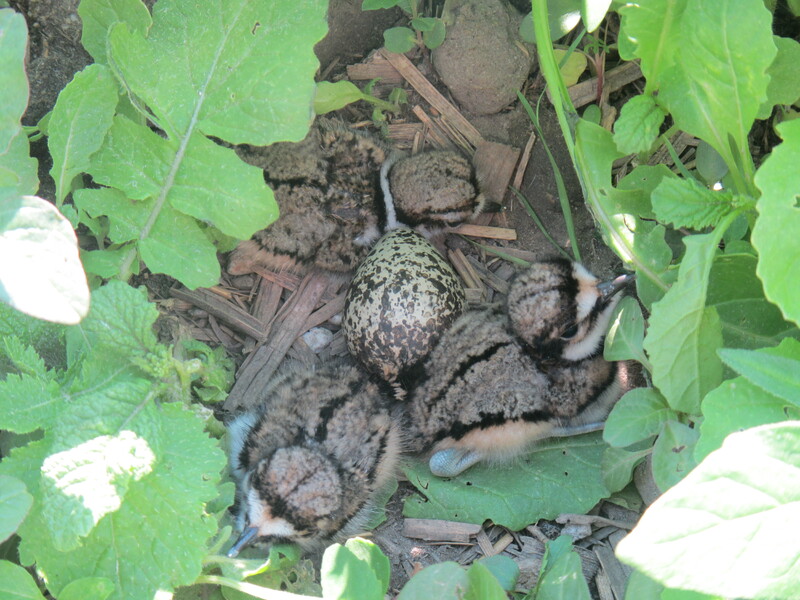 The killdeer are abundant in the fields this year, lots of nests. This nest was in the winter squash patch. 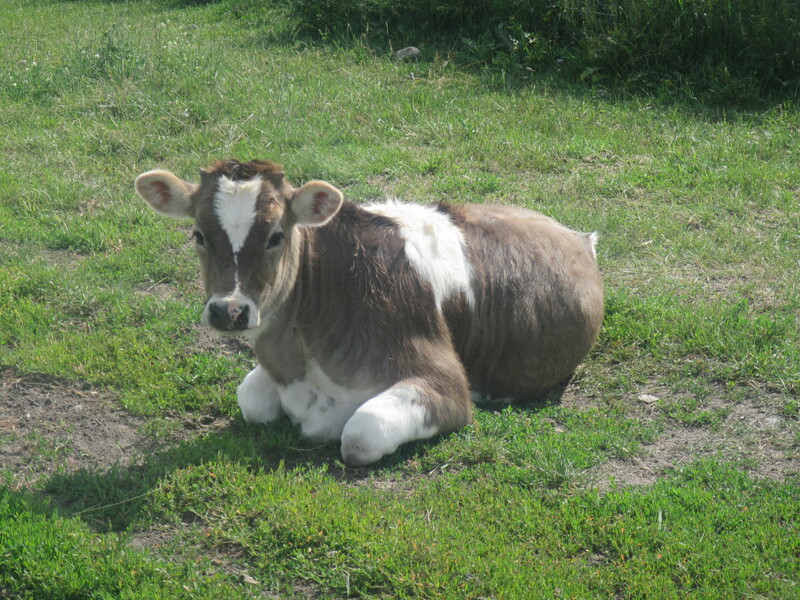 This spunky four-month-old calf was born with a white fur coat, so Rye aptly named her Qanik which means “falling snow” in the Inuktitut language. You can see she is growing out of her baby coat and growing horns! Her favorite games include “chase Leon”, “run and buck”, and “dance circles in the corn field.” Qanik is very happy that we have a new addition to the herd, Mahogany was born last week. 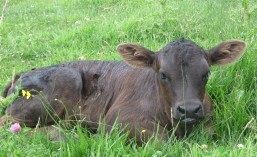 When I went out to take her photo she was well tucked away by her mom. See if you can spot her in the pasture when you come to pick up your vegetables. 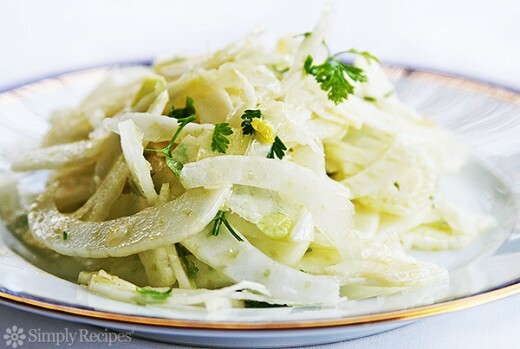 Fennel is a wonderful vegetable/herb that can be eaten raw, braised, or grilled. The possibilities are endless. 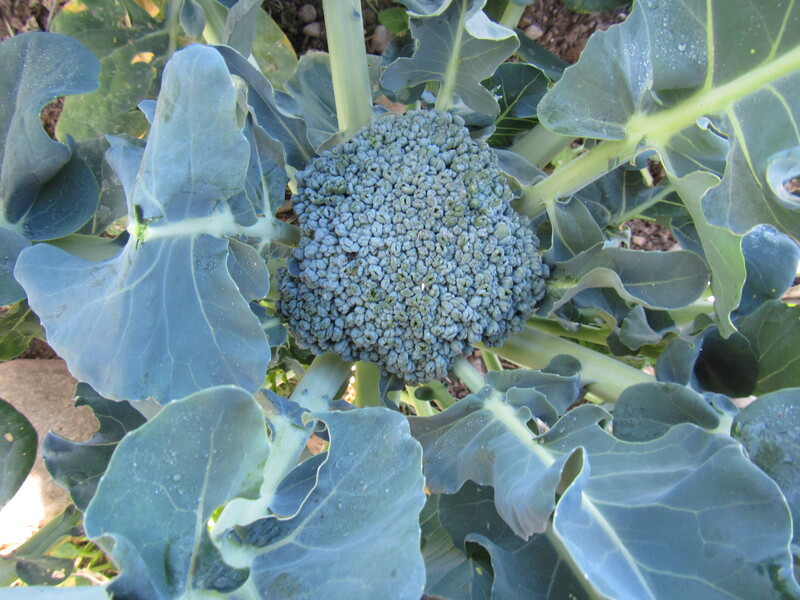 This wonderful plant has a mild anise-like flavor with added crispness and crunch factors. 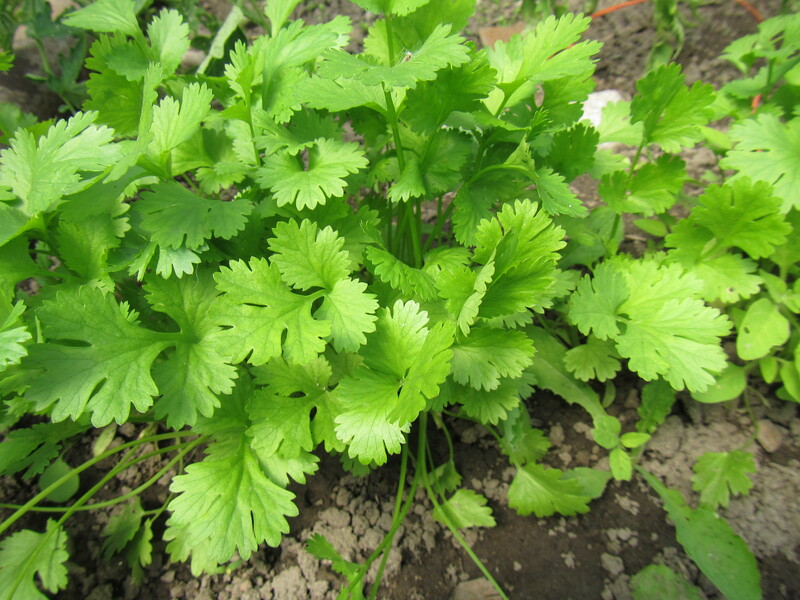 Although the bulbs are the center of attention you can also use the lacy green tops as a mild herb. I like to dry the leaves and use then in tea blends. 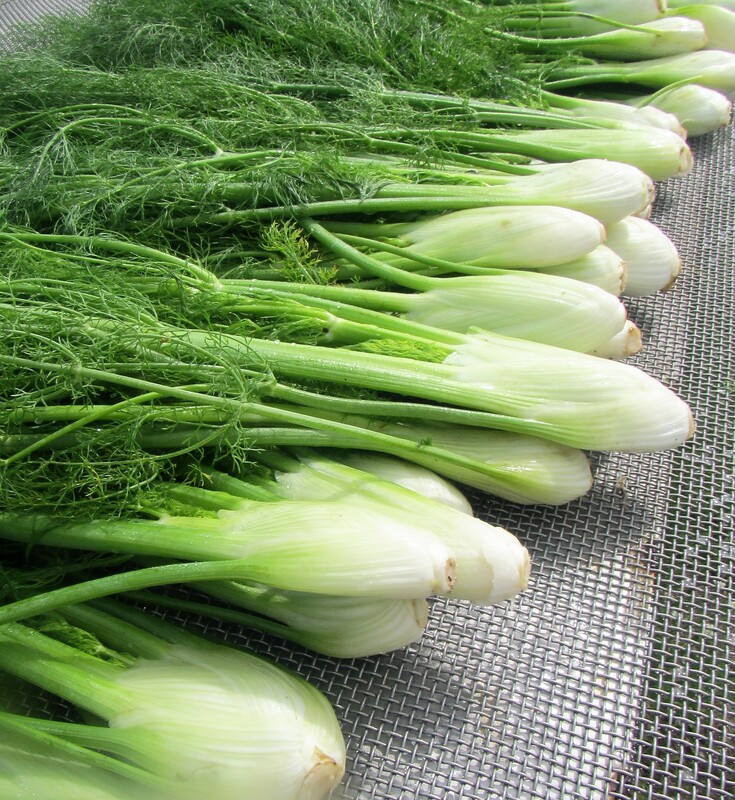 For more info see our page on fennel. Probably the last showing of garlic scapes. If you have a love of these and would like more please let us know and we can probably satisfy that request. We actually weeded and mulched our bunching onions this year. 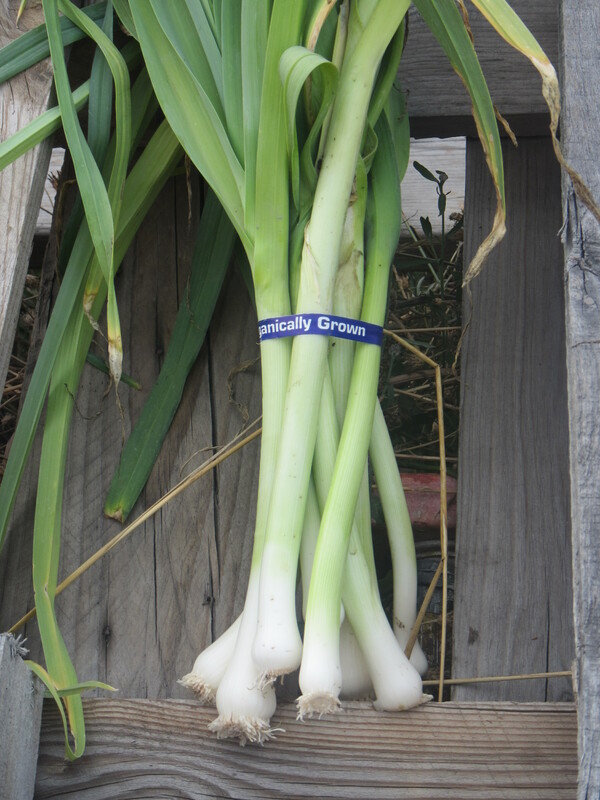 These delightful alliums are also known as green onions. 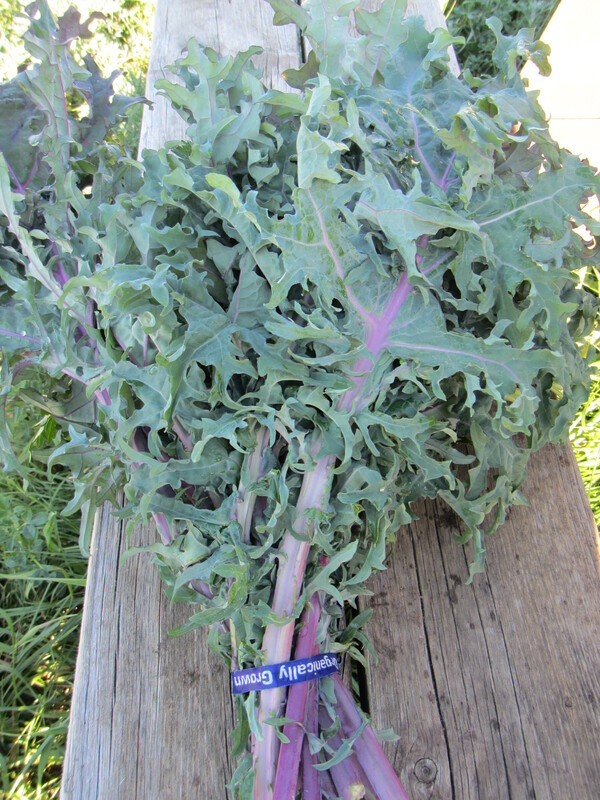 The white part can be eaten raw or lightly cooked. 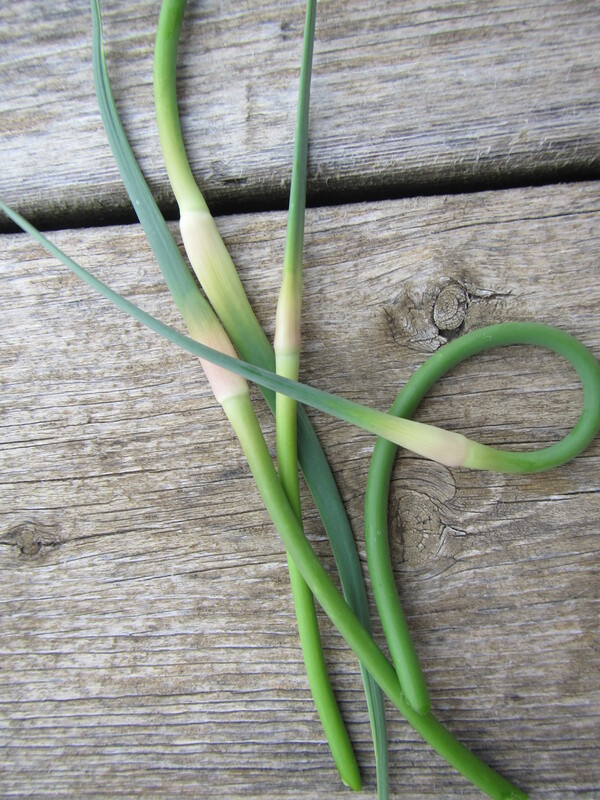 The green stems are a great raw garnish. Yummy in salads. The snow pea plants do not like this steamy weather. They stop flowering when it gets hot, so there are few peas on the vine. Hence you either received broccoli or snow peas in your box. 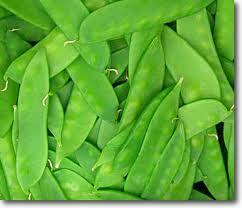 Snow peas can be eaten raw on salads, or right out of the bag! They can also be lightly steamed or sauteed. Yummy, tender and full of nutrients! 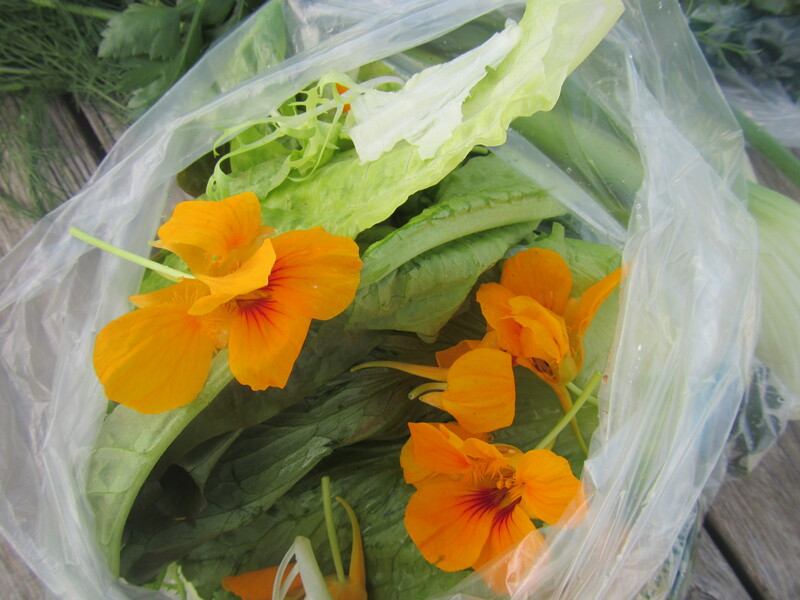 Many of you are acquainted with nasturtium flowers, they are a sweet and spicy treat. It is surprising that such a delicate flower can have so much flavor. Eat them raw. I didn’t take a photo of the zucchini, maybe next week. All the zucchini we harvested this week are small, but beware, more are coming and they will be much larger. Get out your zucchini recipes! 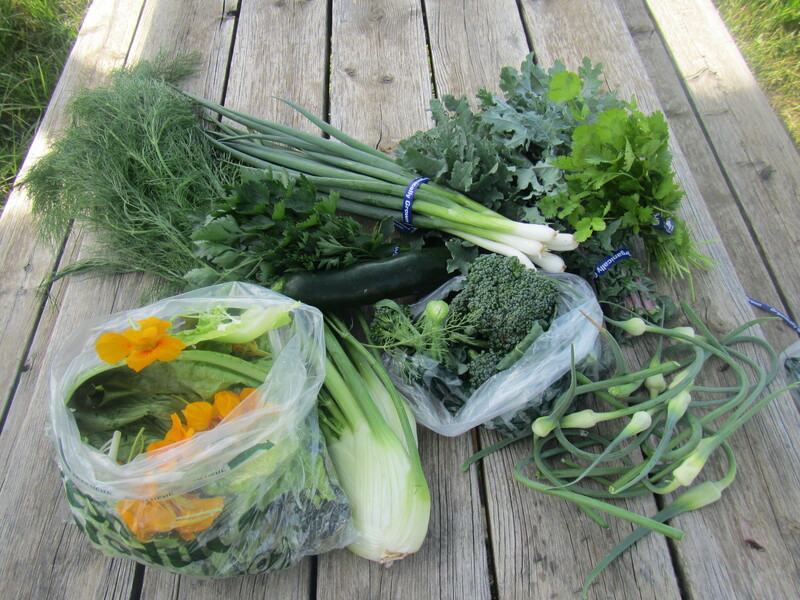 I usually bring in vegetables that are not as “pretty” into our kitchen on harvest days. Our counter was stacked with small fennel bulbs, green onions that didn’t pull easily, and the ever-abundant garlic scapes. This was part of our dinner last night. 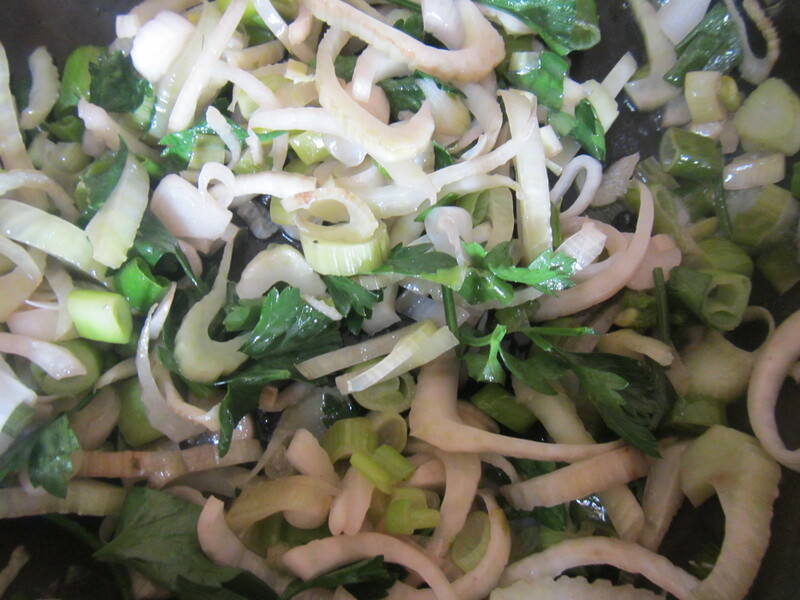 Sauteed fennel, garlic scapes, and green onion in butter and a touch of vinegar from the kalamata olive jar. 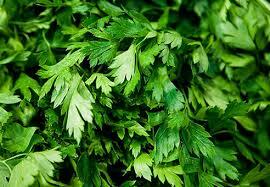 Garnished with parsley.